....at a day retreat at Lavender Valley Farm in the quiet countryside of Maple Valley, WA surrounded by mounds of organic lavender. You'll feel the worries fade away as you forage your own flowers among the 5 acres, learning aromatherapy & the therapeutic benefits of some of those flowers - and mindful, stress relief techniques. A part of the workshop will be dedicated to designing your own compote centerpiece taught by floral designer & horticultural Therapist student, nichole monjay. We'll also be hand-dyeing linen sachets with natural botanicals, and filling them with lavender from the field for you to take home, as well as a welcome box chock-full of handcrafted goodies from local artisans and individual headshots featuring your centerpiece with photographer melanie faun. We're going to make sure you leave feeling pampered & spoiled! Posted on July 7, 2017 by Nichole Monjay. Well this was one of those fun times in life...super fun. I was walking through the grocery store and spotted my work on the cover of one of my favorite magazines: Seattle Met Bride and groom! (The winter/sring 2017 issue) you know when there's that split second moment of recognition, and then the neurons connect, "Hey those are my flowers!!" LOL. what a thrill...a Complete, lovely surprise. 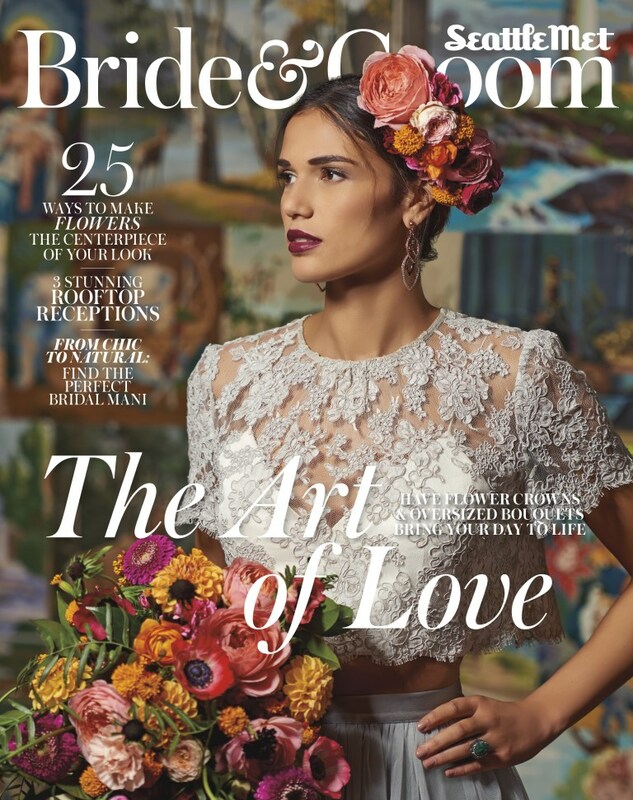 I had been asked to do a floral comb and bouquet for a Frida Kahlo inspired shoot, but had no idea they'd be picked for the cover. And what an honor it was to collaborate on this spread with some other amazing Seattle florists: Wild Bloom Floral, From the Ground Up Floral, Bella Rugosa, and drop dead gorgeous images by photographer Kevin Focht. The whole issue really is a work of art, chock-full of inspiration from other insanely talented vendors. If you're in the area, grab a copy and get lost in all the beauty! Posted on February 27, 2017 by Nichole Monjay.